Mark Kelly reels off the many pluses he sees to the planned new cycle route along Fitzwilliam Street, if it goes ahead. It would entice more people to cycle, and with their children too, and encourage fewer people to drive, he says, as he locks up his bike near a corner of Fitzwilliam Square on Tuesday. “It’s really important to have those cycle lanes,” he says. 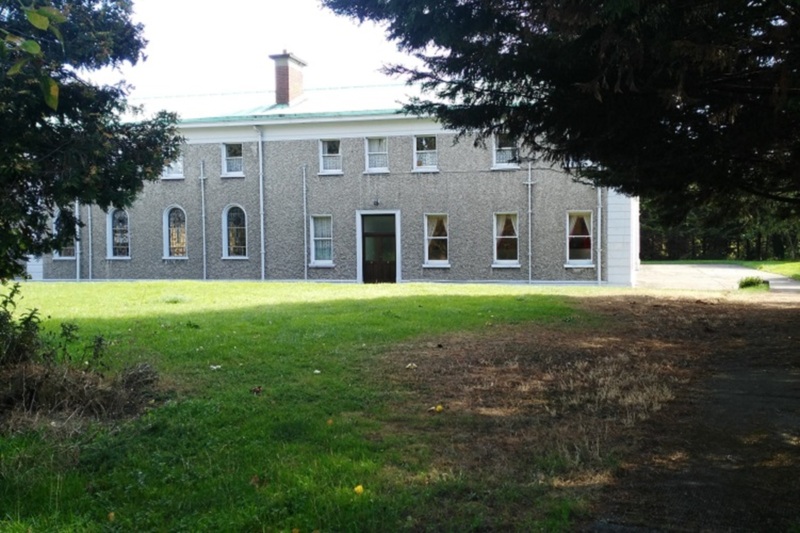 Further towards Merrion Square on the same street, Hank Fogarty has just moved into his new office. The loss of parking spaces would likely irritate some local residents, he says. 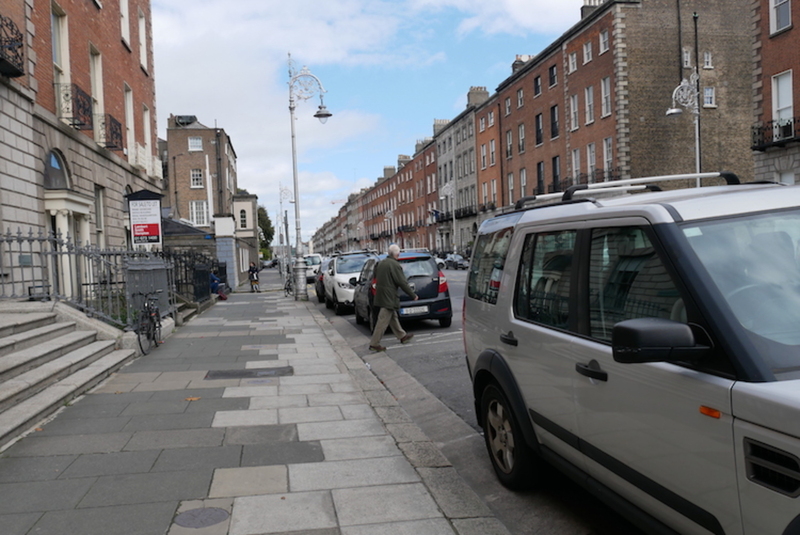 For the next month, Dublin City Council is again asking people to weigh in on the latest version of its plans for a cycle route protected by a row of parked cars, to run for a straight shot of roughly 1 kilometre along this stretch on Fitzwilliam Street. There are several strands to the debate. But one major point of conflict at the moment seems to be the place of pedestrians, and whether those who would have to cross from the footpath to their cars would clash with cyclists. The route would run straight along Fitzwilliam Place, Fitzwilliam Street and Merrion Square East – from the Leeson Street and Fitzwilliam Place junction to Merrion Square North. Under the plans, the footpaths would stay the same width. There would be a new cycle track about 2 metres wide on the edge of the road, buffered from moving traffic by cars parked up, and with a buffer area between the cycle track and the parking, too. Seymour went into detail about the junction design, and how the route would be split up with pedestrian crossings along each block and at each junction. “These are also raised across the cycle track, to make sure that the cyclists see them and comply, and give way to the pedestrians,” he said. There will be more space for cyclists to turn safely and more cycle parking too. 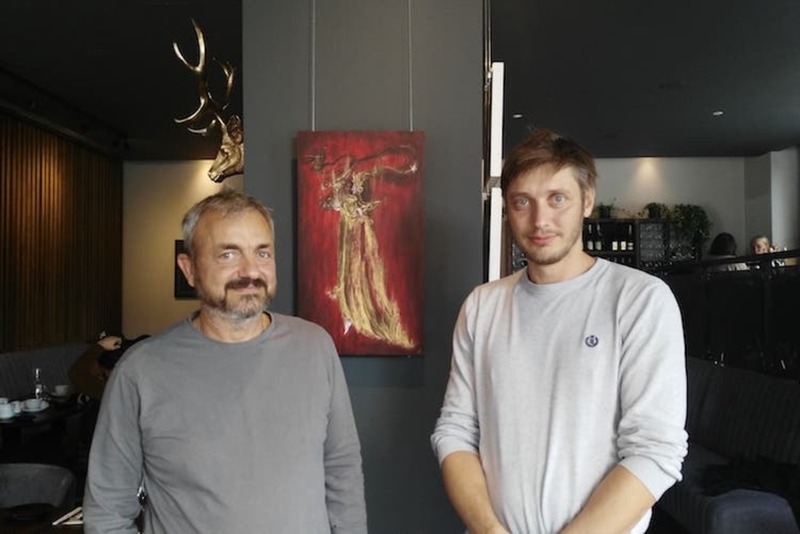 At the meeting, some councillors said they had been contacted by a local residents’ association, and were struggling to work out what was true. Paddy Smyth of Fine Gael, the councillor behind the plans along this route, said the junctions look great. Fianna Fáil Councillor Frank Kennedy said he was trying to parse and match what the council says, and what some residents say. “The positions seem to be irreconcilable,” he said. The South Georgian Core Residents Association supports making Dublin a cycling and pedestrian friendly city, says Philip O’Callaghan, its chair. But pedestrians haven’t been given the attention they should have, he says. He queries what will happen when pedestrians or car users have to cross the cycle lane to get in or out of their cars. Some might have buggies, too. In those cases “they must share the same space with the cyclist”, he says. 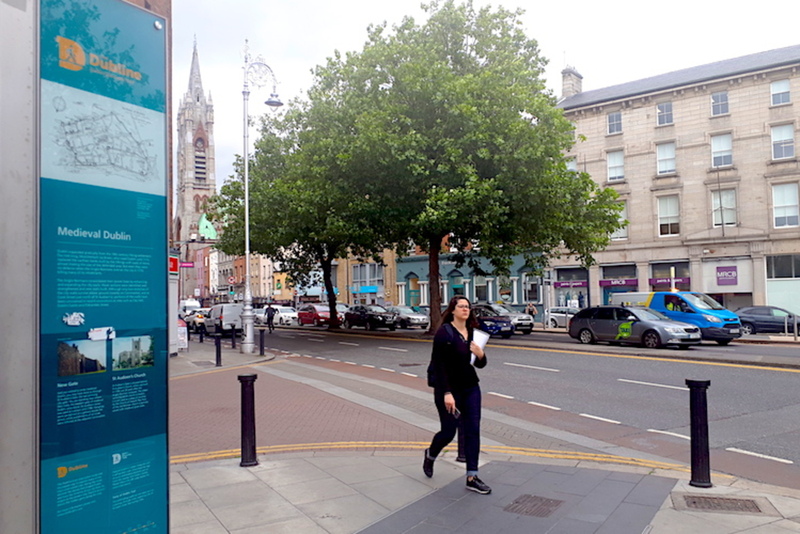 Christopher Manzira, a senior council engineer, said that when it comes to safety concerns for people getting to cars, the scheme is in line with international practice, and some schemes in Cork too, and there haven’t been any reported concerns about them. There’s already a parking-protected cycle lane, along the lines of what’s being proposed, on North Brunswick Street north of Smithfield. “There have been no issues with that,” said Manzira. North Brunswick Street is a shorter and quieter stretch of road. Last Tuesday, Gareth Dempsey still had his yellow hard hat on, as he stood with his hand on the steering wheel of his white van, parked up but with engine running at the back of a queue of six vehicles. He hasn’t seen any problems there with pedestrians or cyclists in that time, he says. Others passing by said the same. Elsewhere, there have been some issues around pedestrians crossing cycle lanes, says Christopher Monsere, a professor at the Department of Civil and Environmental Engineering at Portland State University in Oregon, who has studied the impact of protected cycle lanes. “Especially in cities with high volumes of pedestrians,” he says. But usually the conflicts between pedestrians and cyclists are at slow speeds, so they don’t often lead to serious collisions. “For the most part, there is not much that needs to be done to address this,” he says. But there are ways to design to make them safer. In front of museums, or theatres, for example. Or other places where lots of people might be walking and crossing the road, speed humps or chicanes – which are curves in the bike lane – can slow cyclists down, he says. In the United States, design manuals advise there should be a 2- to 3-foot buffer from the edge of the bike lane to the edge of the parking stall for car doors to open, and passengers to get out. 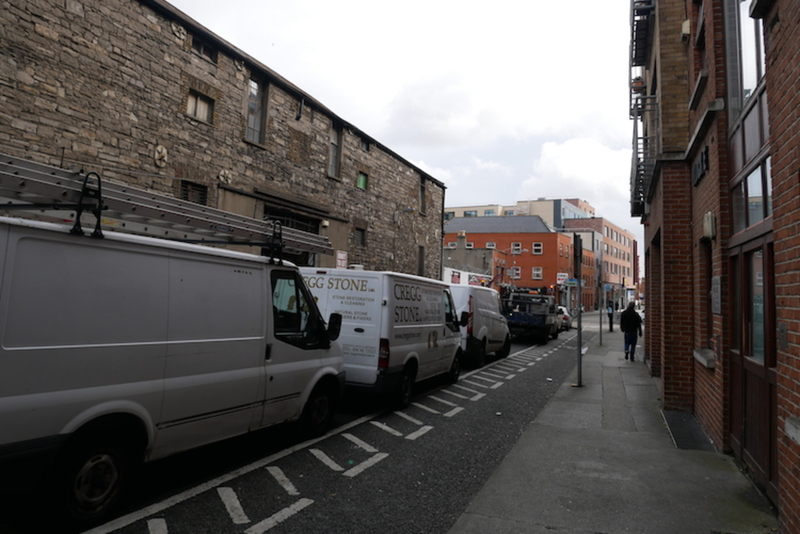 In the Fitzwilliam Street plans, the council has a buffer of at least 0.75 metres – which is roughly 2.5 feet – and so within that range. At the meeting, Seymour said the council is putting in special disabled bays, and planning ahead for green bays to charge electric cars too. The council’s consultation on this cycle-route plan runs until 12 October. 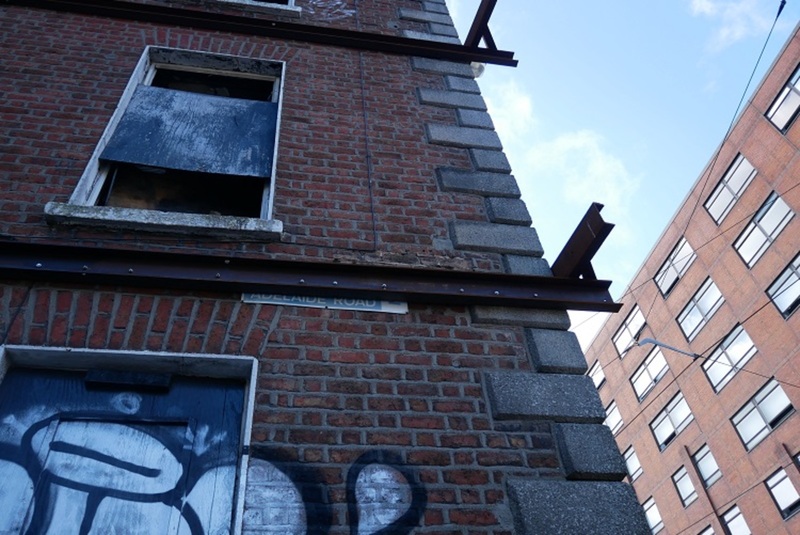 €2 Million Later, Has the Dubline Been a Success?